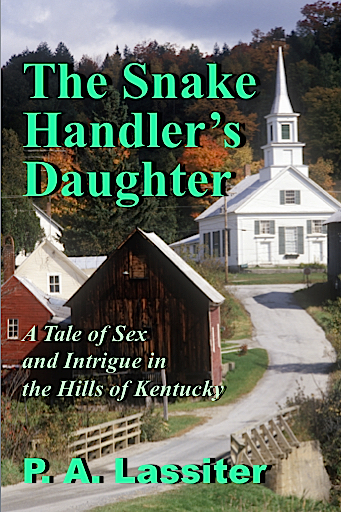 This entry was posted in Announcements, Milestones, News, PA Lassiter Fiction, Snake Handler's Daughter, Website and tagged PA Lassiter Fiction, Snake Handler's Daughter. Bookmark the permalink. 8 Responses to The Snake Handler’s Daughter Cover Reveal! Wow! It’s in print and ebook and everything. I am so thoroughly impressed! Buying it – you betcha 🙂 I’ll leave a review and spread the word! Congratulations. You’ve been working on this for such a long time and though I only read an initial draft it was fabulous then 🙂 Bravo. I would like to read you book, but don’t have a kindle, so I am wondering if it will be released in ePub format. Or on other sites other than Amazon.